We make education for 70 million deaf people, their families, and those interested in Sign Languages more accessible, easy, fun, effective and affordable through the first online peer learning and tutoring platform built for the Deaf and accessible on a desktop or mobile device, anytime, anywhere. 1 2,300 Beta users in 67 countries signing 31 different sign languages; with a user rating of 4.96 out of 5.00. Spent ZERO in paid media to create the Beta. 2 In three months our ASL videos have been watched over 700,000 making us the world’s most watched Facebook site focused on ASL. 3 Launched ASL Math Academy, the 1st website teaching math in American Sign Language. 4 Top 10 EdTech Innovation in ’15 recognized by EDUCAUSE, for our innovative and unique WebRTC mobile, cross-device and on-demand video platform (PC, Mac, Chromebook, iOS and Android); only one of its kind in EdTech. 5 Patent Pending of the first sign language learning system to use motion caption technology for realtime student feedback. Introducing Apogee to the Veditz platform this Winter. EdTech entrepreneur working to ensuring a quality and affordable education is available to underrepresented populations everywhere. One of the USA’s leading Deaf Educators and thought leaders and President of the American Sign Language Teachers Association. A full-stack developer formerly with IBM, NASA, JPMorgan Chase and others. Finalist in the 2013 University Hacker Olympics. Founder of DeafJapan and a leading sign language advocate in Asia. Prominent mathematician and physicist and expert in automation of business processes and system integration. Exemplars and it’s Veditz offering delivers phenomenal value proposition to every stakeholder, including investors: a rarity in the much hyped, revenue challenged, too seldom cash positive EdTech market. Vertical focus addressing extraordinary challenges the Deaf confront pursuing education - converts a tragedy faced by so many deaf otherwise highly talented/brilliant/ambitious individuals - into positive transformational success stories. Advanced and award-winning innovative tech platform that’s hard to match. And savvy/super motivated team bring deep domain experience and expertise. Initial Deaf market can support business value approaching/exceeding $1B. Company is ready to rock 'n roll!! Veditz Investor & CEO Roulac Global. Former professor Stanford and Berkeley. I really think this is amazing. This couldn't have come along in a more perfect time in my life! As George Veditz quoted in 1913; It is my hope that we will all love and guard our beautiful sign language as the noblest gift God has given to deaf people. And it is our duty to maintain the gift and Veditz.org is presently delivering this mission. Our crowdfunding column covers new ground this week by focusing on women entrepreneurs who are searching for equity investors. When people think of crowdfunding, they tend to picture raising money on platforms like Indiegogo and Kickstarter, where contributors give small amounts of money to a company and receive a perk in return. Very exciting news for social impact startups. By now you have probably heard that Title III of the JOBS Act has finally been enacted and now almost anyone can invest in early age startups. Previously, U.S. law prohibited unaccredited investors from attaining equity in private companies. Deaf people are Doctors, Lawyers, Teachers, and Scientists. Veditz is connecting, educating and empowering the world's Deaf population and improving education attainment for all Deaf people by delivering education and tutoring in K-12 to College to Career Skills primarily in the person's native sign language. Education is failing Deaf people. 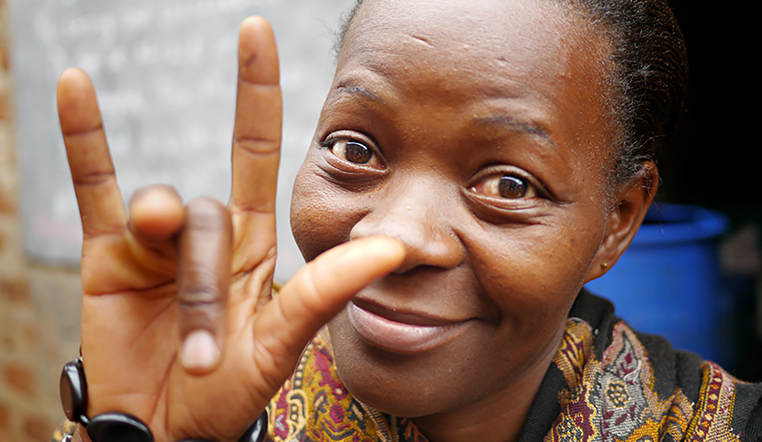 Only 2% of the world’s Deaf population have equal access to the education their hearing peers receive. This leads to tragic results. In the U.S. alone 29% of Deaf students drop out of school (opposed to 7% for other students). Veditz allows the Deaf community to access tutors on-demand, from any device, anywhere. Just log on, set up what subject you’d like help in, and get help one-on-one from the best teachers. We tutor in ASL and other sign languages. Whether you need help with ASL, Math, Science, or other subjects, we're giving the Deaf access to education of all types. Veditz is the first mobile, on-demand and video chat tutoring for the Deaf and others learning one of the world's major sign languages wherever they are. Every K-12 and college in America has a budget for their deaf students, but that budget often goes unused because schools can't find local support. 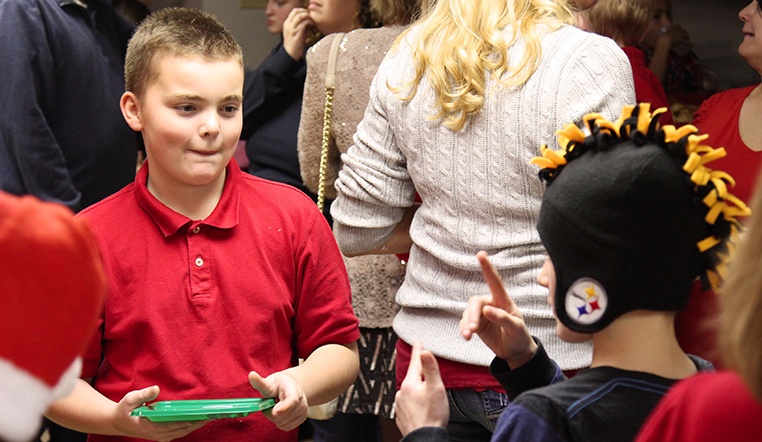 Veditz gives both the schools and deaf students an effective solution. And the opportunity is worldwide, we're already in over 30 countries. Join us. Let's give the gift of education. We are humbled about the outpouring of support, sign-ups and usage already for our product Veditz. The need is real. The market is large. The time is now. Our mission is clear. To connect, educate and empower the world’s Deaf community and assure all 70 million Deaf people in the world have access to education in their chosen sign language. It’s a big worthy goal. But it’s attainable. If impact investing and the potential to do well by doing good is of interest to you then we invite you to join us as an investor and help us improve the lives of Deaf people everywhere. We won’t stop until every Deaf person in the world has access to quality education in their chosen sign language delivered right to them via a desktop or mobile device. We are committed to making a significant contribution through our services to improving the lives of Deaf people everywhere and increasing education attainment, including High School and College graduation rates and attainment of employable skills, thus leading to reducing under- and unemployment rates for the Deaf. This involves three distinct things. First, connection is so important because the Deaf community is spread out geographically, all over the world. This is different from, say, the Latino community, where there are pockets of people. Because the Deaf community is spread out evenly over the whole world, it’s hard to connect them. Once we set up a network for a community, we’d enable the second part of our mission: education. With education, we see major drop-out rates amongst Deaf youth. Just in the U.S. alone, there’s a 30% drop out rate in high school, and a 70% drop-out rate in college. We want to improve education attainment for all Deaf people, especially the estimated 20 million Deaf people around the world aged 0 - 25, by delivering education and tutoring primarily in the person’s native language: which is a sign language, not a verbal language. When you combine these two missions, community and education, you have a real opportunity to empower the Deaf community. Deaf people don’t have equivalent access to information that hearing people do. To be able to connect with people that are experts in specific areas or disciplines, who can communicate through your primary sign language, regardless of where you are - that will help Deaf people be more successful no matter where they live in the world. What are some of the challenges that the Deaf community faces today? A big challenge that we address is access to education in a Deaf person’s native sign language, both in their formal education and their home life. The importance of this starts, really, from birth, and remains important throughout the person’s whole life. As a Deaf child grows up, they’re often placed in schools that don’t have the accommodation for Deaf students. 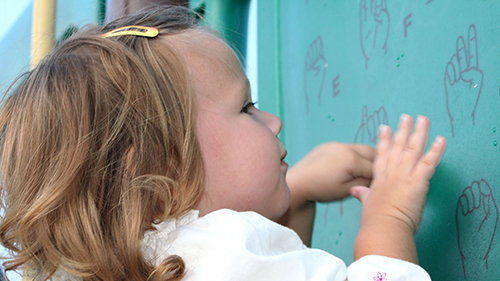 In fact in the USA alone, 90% of Deaf children are enrolled in traditional schools. The Deaf child might have no other Deaf peers in that school to help them learn their own language development and things of that nature. That creates a large number of Deaf students isolated in the public school systems. Oftentimes, they struggle in public schools, because they don’t have the resources or the support set in place. By the time the kids are a little bit older, they’re so far behind, linguistically, because of all of this. The first pillar you mentioned was forming community. Why is this such a crucial first step for your platform? The Deaf community is so spread out, and isn’t concentrated in any local area. There currently isn’t the density and concentration necessary to provide the resources that can really assist a Deaf person. But, with the internet, we can pool all of our people together for their expertise. What does the density of the Deaf population look like? The global Deaf community is estimated, by the World Deaf Association, to be 70 million people, so roughly 1% of the global population. The community is really spread out, so if you live in a rural area, you probably won’t have too many Deaf people around you. Even if you live in a big city, like San Francisco, there will be a larger Deaf community, but they’ll still pretty spread out. Even in those big metropolitan areas, they’re not around the corner. There are a couple of pockets with high population densities, particularly Austin, Texas, and Rochester, New York. Each of those cities have about 70,000 Deaf people living there, mostly because both those cities have big Deaf schools. It attracts people. What avenues currently exist for forming community, online or off? There used to be these things called Deaf Clubs, where Deaf people would physically get together and build a community. Clubs hosted social events as varied as holiday parties, lectures, fundraisers, plays, and performances. Clubs also sponsored athletic events and group outings. Those have pretty much gone away, so now, the Deaf community tends to use the internet to try to connect with each other. Online forums are big, but, as we all know, those forums often don’t have the greatest user interface. Even when you get into things like Facebook, you can find people through groups, but even then you’re limited. It’s really hard to search and find someone with a particular set of skills, who signs your sign language, and then set up a live video chat with them. There are messaging services that are really popular, like Glide, which is basically chat messaging through video. That’s really commonly used, but even so, the lack of a deep online community is really startling. Nobody’s really concentrated on this vertical market of communications before, so it’s very limited. Why is your solution better than the current online platforms for the Deaf community? Our platform streamlines the process of finding and connecting with the exact person within the community that you need to connect with. Because the Deaf population is so scattered, despite the accessibility of computers and the internet, it’s still really hard to find experts and resources within the community. For Deaf people as a community, we have to think about where we can find those really valuable resources, and how we can make them available through video as we are visual communicators. And, our platform makes actually connecting with those people so much easier, as well. You don’t have to ask for their Skype information, and go through all of that. You just press one button within the system, and within seconds you’re connected via live video chat. In fact, our video chat service has been getting better feedback than Skype: we’ve made simplicity of use our number one priority, and have tailored every part of the experience specifically to the needs of our community. You also discuss about the lack of support Deaf students find in schools and universities. Can you expand on that? As the child grows up, they’re often placed in schools that don’t have the accommodation for Deaf students. The Deaf child might have no other Deaf peers in that school to help them with their own language development and things of that nature. Oftentimes, they struggle in public schools, because they’re isolated and don’t have the resources or the support set in place. Once you get to the college level, there are 3,000 colleges who report one or more Deaf students in the United States. Of those colleges, 25% report to the U.S. Department of Education that they can provide zero interpreting for their Deaf students. Even public universities, which you think of as having laws in place to disallow this, very often don’t have these interpretive services at all. They’ll actually report to the U.S. Department of Education that they’re in violation with equal accommodations laws. Still, there’s often no enforcement of that because the U.S. Department of Education recognizes that, in a lot of cases, there’s little you can do about it. How many students are affected by this lack of interpretive service in universities? We know that there are roughly 125,000 Deaf people in colleges in the United States. Of the colleges that serve those students, 25% of those have zero interpreting, and another 35% say it’s really spotty at least. 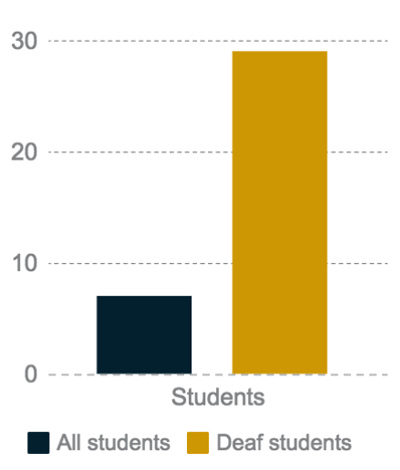 We believe that, ultimately, 50-75% of Deaf college students are woefully underserved. What educational support are you providing? We’ve already started, and launched, the “peer-to-peer practice partner portal,” where anyone can sign up and connect with anyone in the Deaf community or learning a sign language. You just build a profile indicating your background, sign language you use, your skills and qualifications, special affinity groups you want to be a part of, and more and then search for whoever you want to connect with. 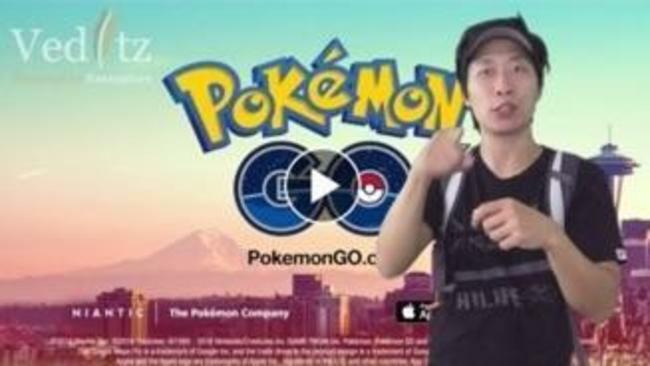 That launched 3 weeks ago, in early April, and we have already seen huge results. We had 2,627 unique active users and 547 became subscribers, and we’ve spent $0 in paid media to achieve this. Next month (early June), we’ll be launching our tutoring system. We’ve already built a network of 300+ tutors, teachers, and interpreters who come from Penn, from Princeton, from Gallaudet and more. Gallaudet University is the preeminent university in the world for Deaf people and several of their faculty are testing Veditz. Right now, we’ve got many professors using it, who’ve said it will support their teaching efforts over summer. What’s enabled by building this network within the educational space? When you’re starting with a dispersed population problem to begin with, it becomes a real challenge to find a tutor: you need to find not only an expert, but one who uses sign language or you have to find a tutor and an interpreter. Because our platform seamlessly combines the goals of forming community and educating that community, the searchability and thoroughness of our database becomes key. You can customize what you’re looking for, so if you’re looking for someone who can help you with body language, who is ASLPI-4 or higher rated, who lives in California and is a CODA (Child of a Deaf Adult), those profiles will come right up. There may be zero or there may be 5 of them, but you’ll be able to see their full profile. You’ll know their job history, whether they’ve linked LinkedIn or Facebook, everything. Suddenly, you can find exactly what you want. We’ve also enabled ratings, so other people in the community can see a really important measure of a person’s skills, defined by the Deaf community itself. That way, you can see if, say, a particular teacher is really skilled with legal terminology. If you’re a parent in Palo Alto looking for a tutor for your Deaf child - the best tutor - you can find that person on our platform. And even if they live on the other side of the country, with our service, you can have that person tutor your child. In the USA alone there are an estimated 315,000 Deaf students in elementary and high schools, with 90% going to non-Deaf schools. To support these students (and also hearing students with supplemental education needs), there’s actually all this governmental after-school tutoring funding available for parents to find tutors. By September, we expect we will be able to be a provider of that, starting in California. The state of California spends over $500 million annually for after-school tutoring for students in need of support, but Deaf students don’t participate in these free state funded programs as much as they can because of lack of access. With Veditz we will solve that problem because in California online tutoring is allowed. Parents of students with supplemental education support needs let the school district know their preferences, and the school district pays the tutoring company, at a recent average of about $65.00 an hour. In this government-funded tutoring program you’re hoping to participate in, what is your role? We’ll handle both the application and the reimbursement process. Otherwise, it’s a real hassle for the individual tutor. If you want to tutor in multiple school districts throughout a state, you have to send an application to many districts with your credentials and everything. We’re going to take care that for them, and apply as a platform, just as other tutoring companies that service hearing students do. Basically, we make it easy for people with expertise in a specific area, with skills that are maybe not in high demand in their local area, to connect with the higher demand nationwide and globally. 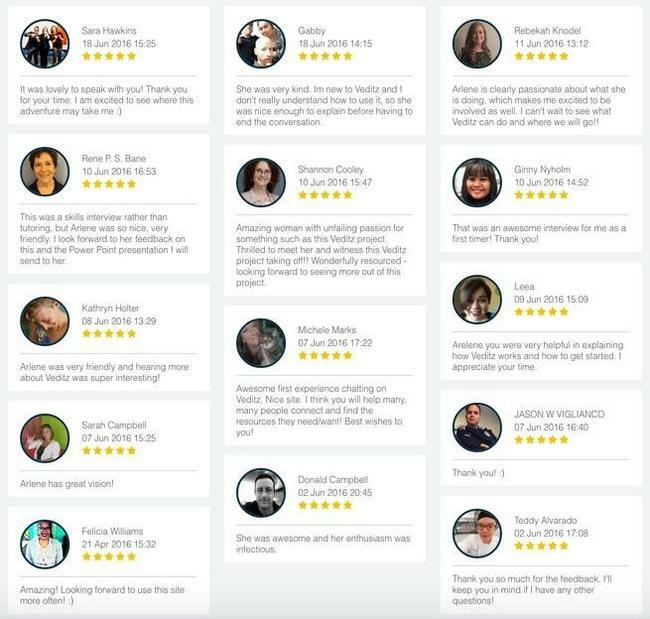 We’re making it easy for them to find people, much easier than what used to be possible through forums, and then we’re taking care of all the logistics that enable that tutoring. By streamlining that entire process, we can basically give parents an ability to get tutoring for their children, and the tutors the ability to get compensated in a way that wasn’t at all possible beforehand. Beyond the tutoring, what other educational programs do you have planned? Later this summer, we’ll launch full courses on the site, using the 300 teachers we already have on-board, as well as adding more teachers to our network. We will host star professors, and the lessons will be high-quality and curated; not anyone can just build a course. We’re talking to renowned sign language teachers, university Ph.D’s and we’re getting educators contacting us daily. It works because the teachers we’re working with already have the content. We don’t need to build it. They just need the tools, and marketplace to market to the whole world their abilities. In what ways does your teaching service cater particularly to the Deaf community? Deaf people are visual people, and so everything needs to be accessible that way. And, it’s important to note, languages such as English is a second language, not a first. Deaf people do need to have good reading skills, but like everyone, Deaf people will still learn best through their own language; in the USA that would be American Sign Language or ASL. It’s also important to note that American Sign Language isn’t a direct translation for English. It’s an entirely different language. So, if a Deaf person wanted to go online and learn about, say, the Pythagorean Theorem, they could read about it like any English-speaking person. But, for the Deaf person, it’s their second language, and the average reading level of a Deaf person in college is less than the average hearing college student. Also, anybody could read about the Pythagorean Theorem and still have struggles; that’s why so many students get tutors. A lot of people need something more to get the lesson; they need someone to interact with them. So, our tutors can give that interaction that we’ve seen really helps, and we can have that interaction take place, first and foremost, in the student’s native language. Beyond the educational services of tutoring and courses, what other services do you have planned? For the daily lives of Deaf people, and any organization in need to find an interpreter for the Deaf it means having direct access to interpreters via a computer, smartphone or tablet, and not just those in their city; not having to go through an agency; only paying for the time used; and also having on the spot interpreting.Here’s why this is a big deal. Today if you are a school or a company and you need an interpreter you contact a local agency, most of the time via email as their website are pretty archaic. The agency then contacts interpreters and in a few days the agency contacts you saying they can or can’t help and who they will send. They don’t normally give you a choice. And normally you must pay for a minimum of 2 hours of time, even if you just need an interpreter for an hour long class or business meeting. And if they person lives 30 minutes away you normally have to also pay for travel time. And finally the hourly cost will be $70 and on up; in New York City it’s not uncommon to have to pay $150 per hour.So in summary. Poor scheduling process. Have to use a middle-person who selects for you. Only have access to people in your town. Minimum charges. Might have to hire multiple people. And high hourly rate.With Veditz you the consumer are in charge. You can search for interpreters throughout the world who sign the sign language you are looking for, review their bios and reviews, communicate directly with them, schedule an interpreting session directly with them, and find someone in your price range. Why spend $150 an hour for an interpreter in New York City when the perfect person might be in Hawaii and charging $60 an hour. And even better if you just need someone for one hour that’s what you pay for and not the 2-hour minimum or $300. That’s a huge savings and you get access to a wider pool of talent. Plus you never pay for travel time. What are some of the other issues facing the Deaf community that you address? This language barrier becomes one of the first issues that the parents will face, right at birth. 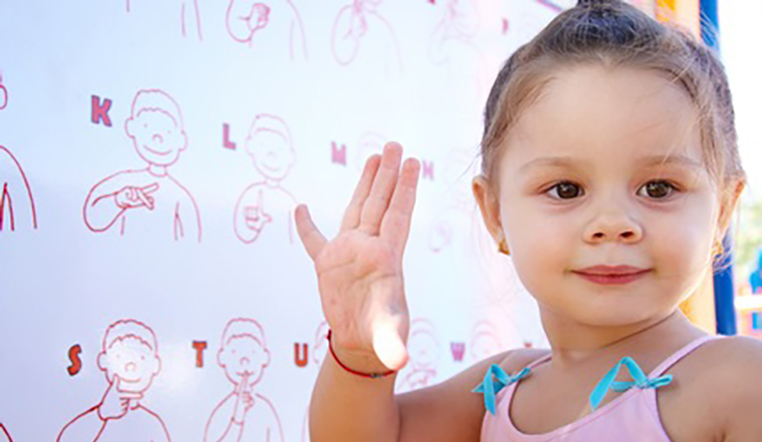 Ninety percent of all Deaf children are born into households where both parents are hearing, and it is rare that these parents will already know their country’s main sign language, because they’ve never had to learn. Setting up a foundation of linguistics and communication at home, in the kids’ own language, is so important; it helps with their emotional challenges and barriers, helps with the education issues, everything. But, it’s currently really hard for these parents to not only learn sign language, but also to learn how to be a parent of a Deaf child. We’re trying to supply that kind of service and support. Why is it so hard for parents to learn sign language? Parents often say there aren’t enough resources to learn. Option A is to enroll in a school, in a community college type of program. Often, though, these are classes meant for interpreter training programs, but aren’t designed for parents to learn to communicate with their children. Also, you have to deal with the logistics of going someplace to attend the class, and, if you work and the class is only offered during the day, that’s a major roadblock. You might think a good alternative is to go online, but, shockingly, there are zero online education providers that can actually teach sign language. There are a lot of sites that have videos where you can learn some words, but they’re not structured as a full learning program. And even if they did watch videos, you’d still need a space to practice it. It’s like any foreign language; you have to practice with somebody. Where can you find that person? Where can you meet others going through the same thing as you? That’s what we do. How are you helping these parents? We want to match the parents of Deaf children with teachers who can teach them sign language, but also with other parents who have been in their shoes before. That’s our starting point. This is especially important as a young child, because then, they can learn directly from their parents; that’s so powerful. You launched three weeks ago; what are some KPI’s from your launch? We’ve found that it’s highly viral, so not only are people using it, they’re liking it enough to tell other people. Our average user has come back 1.85 times in 3 weeks. We’ve had 2,627 unique active users and 547 became subscribers, and we’ve spent $0 in paid media to achieve this. The market is very viral and word of mouth driven. What lessons did you learn from the launch, and what are you adjusting as you move forward? We’ve had very few issues with people being able to figure out how to intuitively use the platform, so that’s been good. We’re still working, though, on making things even more intuitive for all of our users. There’s so much diversity within the Deaf community, so we’ve been expanding our help desk to address all the needs of our users. And we did get a lot of feedback on the different classifications people would find useful, so we’ve been editing the filters to make everything more searchable. For example, we’ve been getting feedback from parents who want to more specifically classify themselves, to make it easier to connect with more specific communities, such as connecting with others of the same religious interest, hobbies or other affinity groups. How are you acquiring users, and how do you plan to grow faster? We started by finding 13,000 people who are, in some way, involved in the Deaf community: they’re interpreters, they’re teachers, they’re on websites of Deaf groups. We built an email list of those people, and now, at least once or twice a week, we send them emails, updates on what we’re doing. Every time we send that list, we get another batch of people to sign up. So far, we’ve sent about 10 emails to that list, and we’re going to keep sending more. Beyond that, it’s mostly been word-of-mouth right now, and we want to just keep doing that, keep the focus on the community. About 55% of the people who have now signed up were never on that initial email list, so we’re seeing people start to tell other people about it. To capitalize on this, in late April we started a “refer a friend” program. Through only one push of that, we received about 125 referrals from only 15 people. That’s a large proportion of referrals per person. The third thing we’ve set up is our “college ambassadors”. We have 50 college students in that program now, and they are in the process of getting trained to tell all the college students about this, both Deaf students and those learning American Sign Language; in fact there are about 135,000 USA college students who are annually enrolled in ASL as a foreign language. It’s the 3rd most popular foreign language in USA colleges and the only major foreign language experiencing substantial growth. Who will your partners be? We’ve had two Deaf schools reach out to us already and ask for information to pass on to their students’ parents, including the California School for the Deaf, which is huge because they’re one of the largest Deaf schools in the country and they contacted us. And we’ve also already gotten the American Sign Language Teacher’s Association to send their members information on our service. All this in just our first month. Paid tutoring is a proven market; it’s a $100 billion market globally. That comes from GSV Capital a major EdTech investment firm in Silicon Valley. Other estimates put it at $90 to $120 billion, so, by all estimates, it’s a huge market. We believe that the tutoring market for the Deaf community alone is in the $3 billion range, and that only quantifies off-line tutoring. We know that when the industry moves online, you’re going to see all the benefits of that convenience add to this number, and the market will drastically expand. And then when you add in education and interpreting for the Deaf, we estimate the global market which we can serve is about $8B. And presently it’s mostly served by mom and pop providers; it’s a highly fragmented market. What do you project that revenue to be? We’re going to take a percentage cut of all the tutoring and class fees that come through our platform. So, right now we’re taking 15% of the volume that comes through one-on-one support. If we can get just 6% of the global Deaf market using our platform in the next 5 years, and we convert just 5% of those users into paying consumers, we think that can produce roughly a $30 million a year EBITDA business. Just through this cut of the fees alone, we have a very proven model for success. But we know this with other industries, that once the internet ascends on it one player tends to get a majority share. If 30% of the market went online and one provider achieved a 50% share then there is a pathway that company could produce $250 million a year in EBITDA for that market leader. And remember the market is already there; it’s just spent with a few thousand small local mom and pop providers. Once we scale, we’ve found we can expand in ways that not only improve our bottom line, but also improve everyone’s experience of the service. For example, when we’re able to offer group tutoring, it will allow us to take a bigger cut, make more money, and still allow the tutor to be paid more per lesson, while each parent or school pays less. Who’s currently a part of your team? Arlene Garcia Gunderson is President and co-founder, and was born Deaf and is one of the leading Deaf educators in the world as she is President of the American Sign Language Teachers Association. She has also been a K-12 principal, college professor and college administrator within Deaf schools including Gallaudet University, the world’s preeminent university serving the Deaf community. Tim O’Connor is CEO and co-founder, and has been a teacher and/or administrator at several leading education institutions including, UniversityNow, La Salle University, and Siemens corporate education organization. He’s taught college marketing and high school Computer Science, and he's been a product manager up through VP Marketing at global tech giants Honeywell and Siemens. Dan Tucholski is CTO and co-founder, and is a full-stack developer and has been a software engineer at some of the most technology sophisticated companies in the world including IBM, NASA and JPMorgan Chase, and he was a finalist in the 2012 University Hacker Olympics when he was a Computer Science student at The Ohio State University.Plus we have terrific Advisors including Thomas Horejes Ph.D. and Executive Director, DEAF Inc.; Susanne Cannon, Ph.D. and Professor Emeritus DePaul University; and John Williams Ph.D. and Dean Emeritus Morehouse College. Exemplars Inc. was incorporated in Delaware in September 2015. Our mission is Connecting, Educating and Empowering the World's Deaf Community. We build products that support our mission by creating value for Deaf people and hearing people interested in Deaf causes and sign languages. Our offering Veditz (veditz.org), is an education marketplace and platform focused on improving education attainment for the 70 million global Deaf community. 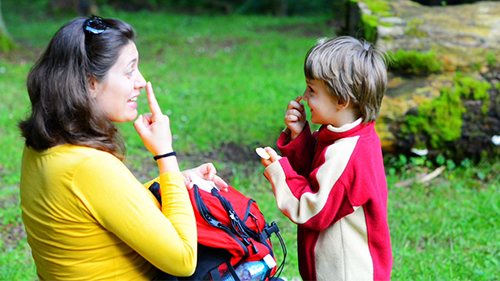 - For hearing parents of a Deaf child this means helping the parent learn their country’s main sign language and Deaf culture, right in their home or office via a computer, smartphone or tablet with the education tailored to them, from sign language educators around the world. - For Deaf high school and college students, it means improving access to tutoring in math, science and literature by giving Deaf students and their schools, access to tutors serving the Deaf community directly to the student right on a computer, smartphone or tablet in the classroom or where the student is studying, with the tutoring delivered in sign language. - For the daily lives of Deaf people, and any organization in need to find an interpreter for the Deaf it means having direct access to interpreters via a computer, smartphone or tablet, and not just those in their city; not having to go through an agency; only paying for the time used and not having to pay the normal 2-hour minimum; and also having on the spot interpreting. - For the millions of people around the world learning a sign language it means peer-to-peer practice, the best way to master a sign language, and access to other learners equally eager to meet-up online and practice the same sign language via a computer, smartphone or tablet. - And for the entire Deaf community it means access to full courses designed and delivered by teachers of the Deaf or people who know sign language, on a range of subjects, from sign languages; to K-12 subjects, college math, science, English; to career topics; hobby subject, and more, delivered in the users Sign Language on a computer, smartphone or tablet. The company began operations in September 2015 and has been in a pre-revenue stage focused on designing, engineering, developing and testing our platform. The Company has created what it believes to be a valuable and tangible asset in the innovative software platform it has engineered and developed and the Board after consulting with Company advisors established a fair market value we believe is reasonable. Actual value of the software could differ materially from those estimates. The Company was recognized for this technology innovation and named as one of 10 Under the Ed Radar start-ups for 2015, by EDUCAUSE, the association of university CIOs and CTOs in the USA. The company expects to generate revenue in 2016 and in future years by collecting fees to host courses, tutoring and interpreting services conducted by independent teachers and interpreters who will use our platform. Customers are required to provide an electronic payment card prior to using any paid services, and we automatically collect our fee as a percentage of the charges to the customer before the provider of the service receives their payment from the user. We book fees in the month we collect them. As an early-stage company, we have experienced losses thus far in our operating history. Given the early stage of the Company our model is not yet proven and has high risk. At the core the Company has a social impact mission to serve the global good for the worldwide Deaf community as quickly as possible therefore we anticipate the Company will continue to experience losses at least through March 2018 in order to meet our growth objectives to serve Deaf people everywhere. We launched our live Beta in April 2016 and in April we had 2,627 Active Users of which 547 became Subscribers. We expect to continue to grow our user base and convert 2% to 5% into paid users. Nonetheless, it may be years before Investors see a return on their investment, if they do at all. provide additional working capital for our Company. The proceeds of this offering will enable the business to continue to pursue its main activities and are necessary to our viability. liabilities. Net cash used by operating activities was $(104,663) for the year ended 2015, which was driven by our operating loss. We have financed our operations through issuances of convertible debt and other debt securities. Since inception, the Company has raised $220,000 cash in exchange for several convertible notes payable (collectively, referred to as the “Notes”). With some minor exceptions, the terms of the Notes are nearly identical, as described below. These notes pay interest of 5% annually, and will mature and be payable on 6/10/2017 or will automatically convert into equity into the company in the event that the Company sells preferred equity securities to one or more investors for aggregate proceeds to the Company excluding cancellation of indebtedness under the Notes or any other convertible debt of at least $1,500,000 no later than 6/10/2017, at a price per share equal to the lesser of eighty percent (80%) of the price per share paid for the financing securities or the price per share obtained by dividing $3,500,000 by the Fully-Diluted Capitalization of the Company immediately prior to the closing of the financing. and therefore we do not achieve our revenue targets. course development at the rates we plan for. cost for key 3rd party provider's services. results, and business may be significantly harmed. use of our platform may negatively affect our revenue and financial results. 8 We depend upon effective operation with operating systems, browsers, networks, and standards that we do not control. 10 We cannot assure you that we will effectively manage our growth. 11 Our CEO, CTO or President leaves the company and we are not able to find an acceptable replacement. Marketing Rules, LLC is an LLC controlled by the family office of our CEO and it has a $40,000 Convertible Note with Exemplars, Inc. at the same terms as other Convertable Note holders. Tech Inclusion presented by Google for Entrepreneurs, names Veditz a top 10 start-up addressing diversity & inclusion. 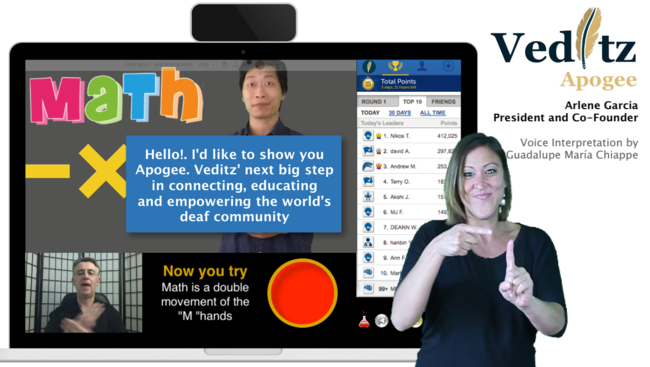 Veditz announces Apogee, the 1st sign language learning system to use motion caption technology for realtime student feedback; plus a new Investor Perk! 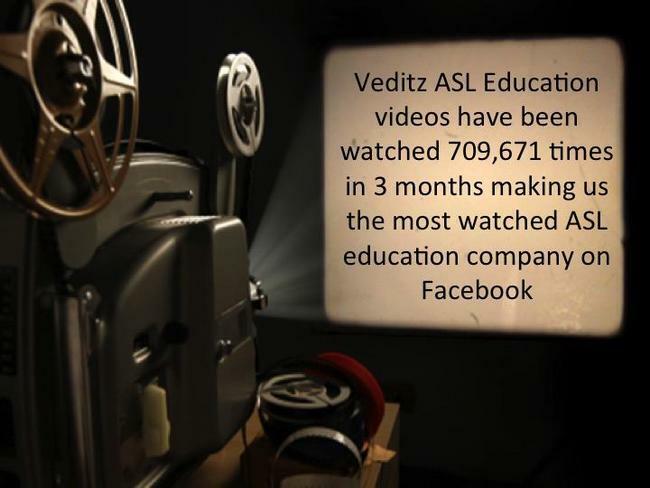 In only 3 months Veditz has become the most watched ASL Education site on Facebook! Villanova University partners with Veditz, opening up a new vertical market for Veditz' award winning software. Veditz completes 300th Beta test session review - average user rating of the experience is 4.96 out of 5 points! Veditz co-founder interviewed by DTV the world's leading Deaf focused news site. Veditz's co-founder, Arlene Garcia Gunderson was recently interviewed by DTV the world's leading Deaf focused news site. BIG NEWS! 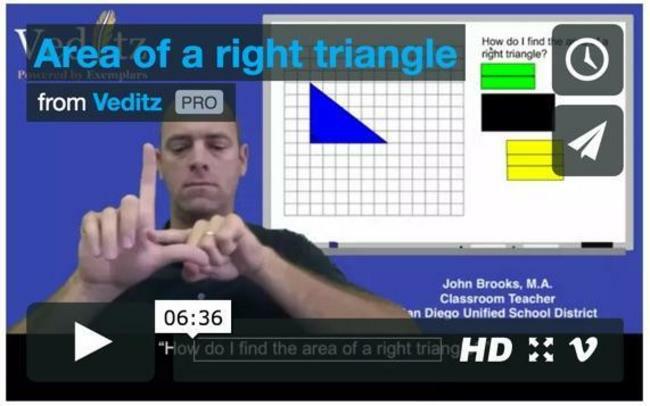 Veditz launches Veditz Answers... the Khan Academy for Deaf people everywhere! 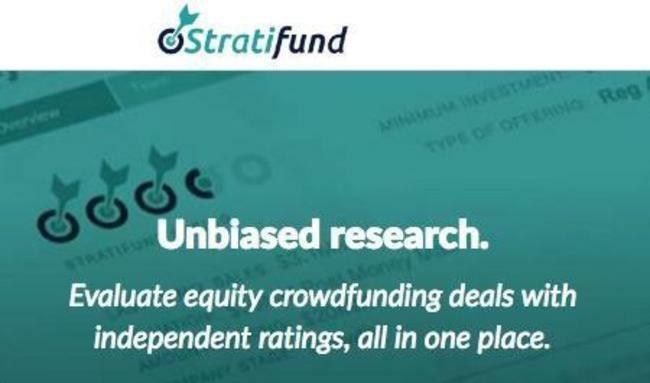 Veditz named 5th highest rated equity crowdfunding investment opportunity. 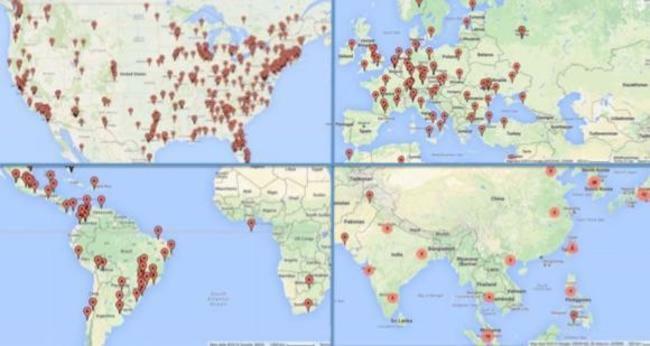 Veditz now has members in 43 countries signing 23 different sign languages of the world. Awesome! This is great. I hope to see this endeavor catch the deaf community on fire!! Everything looks exemplary! So excited about Vedtiz. Nationally recognized university educator and interpreter of ASL.